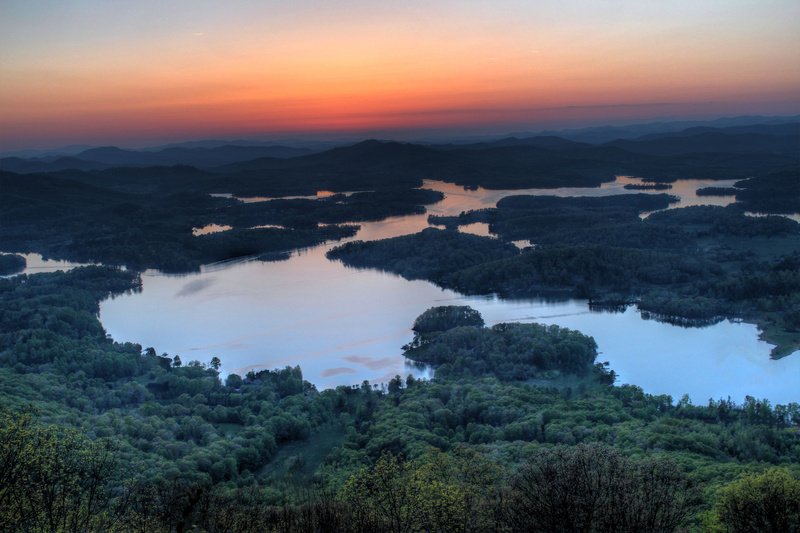 This is a view of Lake Chatuge in Hiawassee, GA. This is an HDR image of the sunset and lake. I have photo-shopped out all of the man made structures.